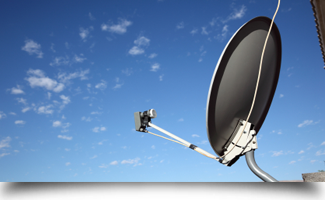 DIGITAL SATELLITE SERVICES INC. in Olathe, KS provides satellite services. Welcome to DIGITAL SATELLITE SERVICES INC.
Are you tired of your slow internet connection? Do you want high speed access without breaking the bank? Perhaps you want to enhance your home entertainment experience. If so, then you have come to the right place. DIGITAL SATELLITE SERVICES INC. in Olathe, KS provides high speed internet via satellite to customers across Kansas and Missouri. We also offer satellite television services including DISH Network and DIRECTV. Our knowledgeable technicians are here to sell you the service, install it and repair it, in case of any subsequent issues that may occur in the future. Copyright © 2017 DIGITAL SATELLITE SERVICES INC. All rights reserved.